Did you know that some apples are better for certain things than others? Some apples are better for baking and cooking. Some are better for applesauce. Some are the yummiest for eating. For example, Granny Smith are better for baking and cooking. McIntosh are good for sauce. Honeycrisp are the yummiest (by the way that is not just me saying that, I read that). Then there is the saddest apple. Poor apple was ranked the lowest and/or worst for everything...including eating. It would seem no one likes you for anything. Seriously, they were rated the worst for everything. Unfortunately for you Red Delicious, you are not really my favorite either. Do you like Red Delicious? What apples do you like to use? What is your favorite apple to eat? I actually used golden delicious apples in the recipe I am sharing today. 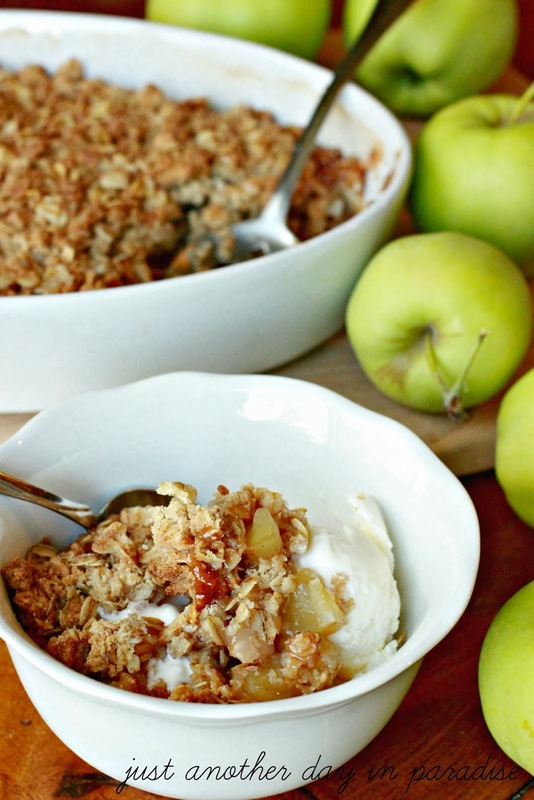 When I think of Fall apple desserts, one of the first things that comes to mind is Apple Crisp. I have been on the search for a go-to Apple Crisp recipe for a couple of years. 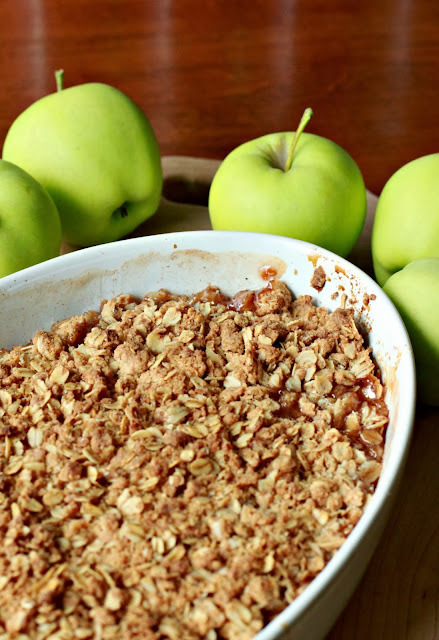 A recipe with the right amount of apples and cinnamon. A recipe with the best ratio of crumb/crisp topping. Since the crisp part is my favorite part of the Apple Crisp, this part is kind of a big deal to me. I found the elusive recipe. So exciting! The search is over. I present The Perfect Apple Crisp. In a bowl, mix together flour, brown sugar, salt, and 2 Tablespoons of sugar. Cut butter into the flour mixture with a pastry blender or two knives until the mixture resembles coarse meal. Add in the oats and mix everything together with your hands, squeezing and squishing it until it is mixed and clumps form. Put mixture in freezer while you prepare the apples. In another bowl, toss the apples lemons juice, cinnamon, and 1/2 cup sugar. Transfer apples to a 2-quart dish. Sprinkle with crumb topping. Bake 55-65 minutes, until golden and bubbling. Back to apple business on Friday! !